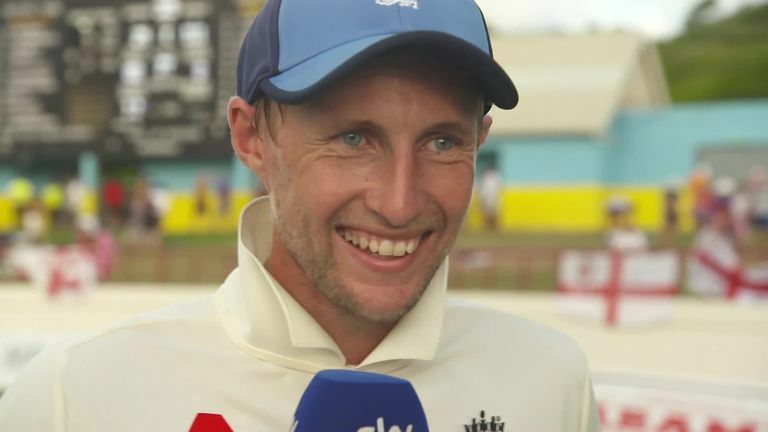 England captain Joe Root says his batting 'really clicked in' after ending his run of low scores with an unbeaten century in the third Test against the Windies. Root averaged a paltry 11 in the series prior to England's second innings in St Lucia - and had passed 50 only once in his previous 11 Test knocks. However, the skipper made amends with a classy, but patient 111 not out on day three, sharing a century partnership with Jos Buttler to put the tourists in a commanding position. "It felt a long way off at the start of this game, after some of the deliveries I got in the last Test," Root told Sky Sports. "It's really pleasing to make a start count - I'm glad to have got in and made it count when I got the chance. "Today something really clicked in - I've been working hard with Ramps [batting coach Mark Ramprakash] and some of the other coaches. It's nice to see it work and hopefully that'll be a good foundation for a long time to come. "It wasn't pretty at times, it was that sort of wicket and obviously a slow outfield but once I got into the rhythm of the game, it started to feel a little bit easier. "I've been working on a few things in practice, trying to line myself up a bit better. The body hasn't quite been doing what I want it to at times, which is frustrating, but that can happen over your career. "You've just got to tinker with things and evolve your game, just as bowlers evolve their plans to you. I've been through a little bit of that over the last six to eight months and somehow managed to find ways of scoring runs." 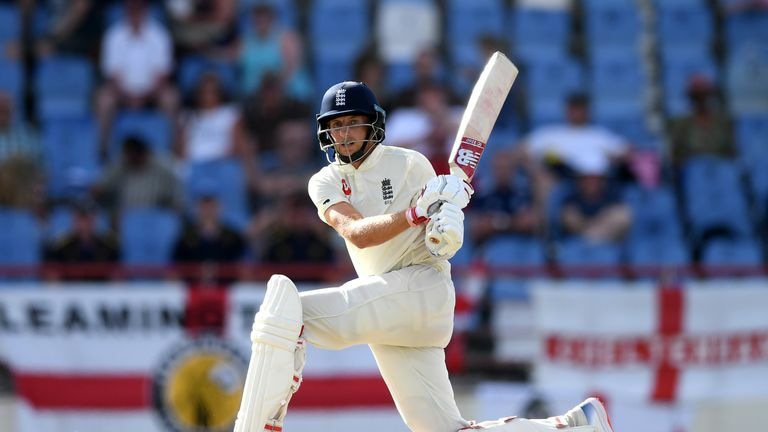 Joe Denly, playing in only his second Test, laid the foundations for England to tighten their grip on the game with an innings of 69 before Root and Buttler (56) put on 107 for the fourth wicket. Root's side closed on 325-4, giving them an overall lead of 448 runs with two days remaining and the England captain will ponder overnight as to the timing of his anticipated declaration on day four. "It'll be coming at some point," added Root. "We can have a little think about it, how that roller will affect the wicket and make a judgement call on it early on. "If it starts to really misbehave more frequently with the older ball - like it did when they took the new ball - that might give us a bit of a nudge to pull out. It's about holding your nerve and putting them under pressure."